Joseph-Lowery, Frédérique. 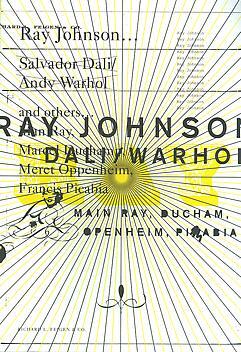 Ray Johnson... Dali/Warhol/and others... ‘Main Ray, Ducham, Openheim, Pikabia...’ Edited by Frances F.L. Beatty, PH.D. New York: Richard L. Feigen & Co., 2009.